The Interim Union Budget 2019–20 reflects a definite push for an insurance-based model of healthcare, which comes at huge and disastrous costs of the public provisioning of health. 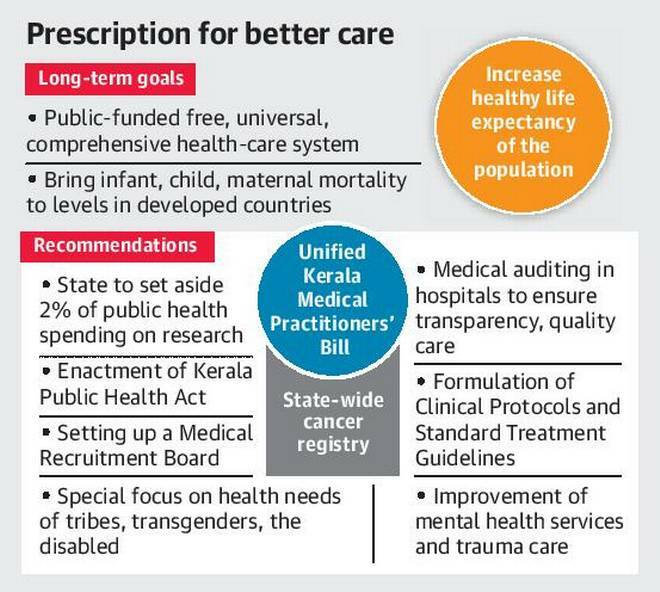 In a country like India, where a large section of the population is poor, vulnerable and dependent on the public provisioning of healthcare, the consequences of the current budget are catastrophic. They also demonstrate the continuing lack of serious commitment of this government to health for all. The scrutiny of the allocation of priorities in the interim budget clearly indicates what the government seeks to achieve. Under this government, the National Health Mission (NHM) has been continuously neglected in every budget and its share in the total allocation on health has gone down from 61% in 2014–15 to less than half (49%) in the 2019–20 interim budget. The allocation under the NHM has increased only marginally by about 2% over 2018–19 revised estimate (RE) if one excludes the health and wellness centres (HWCs) component. The HWCs, another key component under the Ayushman Bharat Yojana or Pradhan Mantri Jan Arogya Yojana (PMJAY), meant to expand primary care for non-communicable diseases, have received an allocation of ₹ 1,600 crore. This is a mere fraction of what is needed to achieve the goal announced by the government last year: to convert 1.5 lakh sub-centres into HWCs. Further, including HWCs as a new scheme under the NHM without making additional budgetary provisions for it would mean that this money allocated to HWCs would come at the cost of existing interventions under the NHM. The government’s apathy towards strengthening the public health system is apparent given that it has reduced capital expenditure by 43% in the interim budget 2019–20 over the actual capital expenditure in 2107–18. This is essentially meant to build infrastructure and procure equipment. Furthermore, the scheme to strengthen district hospitals and medical colleges with more human resources has received an additional allocation of ₹ 30 crore compared to the previous budget, which, after taking into account 3.4% inflation, would mean a significant reduction in real terms. Again, the decline of nearly 40% over the expenditure in 2017–18 under the head of “establishing new medical colleges (upgrading district hospitals),” is especially harsh in the light of the government’s recent announcements of providing funds and land for setting up private hospitals in Tier-2 and Tier-3 cities. These stagnant and declining allocations put us squarely on the track to losing the gains that were achieved through the NHM in its first decade. In the earlier period, concerted and increasing emphasis on public sector provisioning helped India improve access to select essential services and this helped us come close to achieving a number of Millennium Development Goals. In the Sustainable Development Goals era, when there is a need to improve access to a much larger range of services, the reduced allocation is a huge impediment. The Ministry of Health and Family Welfare (MOHFW) has received an allocation of ₹ 63,298 crore, an increase of little more than ₹ 7,000 crore compared to the previous year’s RE. As much as 55% (₹ 4,000 crore) of this increment in allocation is, however, devoted to one scheme, the PMJAY. It is a government-funded scheme to cover secondary- and tertiary-level inpatient expenses for poor families. While this is a whopping 167% increase in a single year for a single scheme, unprecedented in the health sector, PMJAY essentially incentivises private investment in healthcare through assured market share, as well as subsidies in the form of viability gap funding under the banner of free hospitalisation for the poor. It is one of India’s biggest public–private partnerships. There is a substantial and growing body of evidence that such segmented insurance schemes are ineffective in providing free care, that rather than reducing, they increase “out-of-pocket expenditure,” and that they are associated with inappropriate and unnecessary care. When insurance is scaled up in a context where there is a huge inadequacy and inequity in access, and an almost complete absence of regulation, it would result largely in the transfer of public funds into private hands without any matching health outcomes or financial protection. The current government remains adamant on expanding the scheme. Even as the finance minister talked about “women-led development” in his budget speech, the programme/schemes that are relevant for women’s health have been neglected. Allocations towards reproductive and child health (RCH), which includes schemes like Janani Suraksha Yojana (JSY), immunisation programmes and various key disease control programmes, have experienced a cut of around ₹ 4,200 crore compared to the expenditure in 2017–18. The allocations for the Pradhan Mantri Matritva Vandana Yojana (PMMVY), a scheme for maternity entitlement and wage compensation for women, was cut to half in the previous year’s RE (from ₹ 2,400 crore in 2018–19 BE (budgeted estimate) to ₹ 1,200 crore), and in this budget, an additional ₹ 1,000 crore over 2018–19 BE have been allocated. These allocations are, however, much lower compared to the requirements, and the reduction in the allocations for such important programmes as for RCH reflects the government’s indifference towards women’s health. As for the front line workers, the budget speech mentions a 50% hike in the honorariums of the accredited social health activists (ASHAs) and anganwadiworkers, which is far less than the long-standing demand for minimum wages (not less than ₹ 18,000 per month), along with social security, including monthly pensions of not less than ₹ 3,000. Thus, women’s health programmes, schemes, and women workforce have been neglected, ironically just months after India hosted the Partner’s Forum and launched its National Strategy on Women’s, Adolescents’ and Children’s Health (I-WACH), a document that acknowledged a lot of the issues that remain unaddressed in the budget. It is apparent that the last five years of the National Democratic Alliance (NDA) government have been characterised by a neglect of public health system and primary care on the one hand and promotion of the for-profit private sector through a series of measures such as the PMJAY. It is striking that the union government’s spending on health stands at merely 0.31% of the gross domestic product (GDP), which is much lesser than what was spent a decade back in 2009–10. The National Health Policy, 2017 talks about increasing public spending to 2.5% of the GDP by 2025, but this would remain a far cry if the union government’s allocations towards health are not increased considerably every year by at least 30%. The Jan Swasthya Abhiyan strongly opposes the above in the interim health budget. This budget has reduced health allocations in real terms and will lead to further collapse of public health services while strengthening the discredited “insurance model,” despite strong evidence against the effectiveness of such commercial insurance-based schemes. We demand that allocations should be increased in schemes and programmes that strengthen the public health system, such as the NHM, HWCs and tertiary care, rather than funding insurance schemes like the PMJAY that essentially work towards greater privatisation and commercialisation of healthcare. We urge the government to follow recommendations for increasing the budget to at least 2.5% of the GDP as envisaged in the National Health Policy, 2017, accompanied by strengthening the public provisioning of healthcare to ensure adequate supply of free medicines and diagnostics, work towards upgrading of primary health centres and community health centres, improve working conditions of the health workforce and ensure community accountability of public health services, in order to strengthen primary healthcare in rural and urban areas linked with district health systems. These steps are essential to ensure health and healthcare for all.